Spend your holiday in the beautiful seaside town of Loano in Liguria, Italy. The coastal town of Loano lies between the well-known localities of Pietra Ligure and Borghetto Santo Spirito. Like many other localities in Savona, Loano is also decorated with beautiful sandy beaches. Owing to the mostly flat-sloping coast, Loano is well-suited for a family holiday. The old historic part of town also has some very attractive sites like the Castello and the Palazzo Doria. Luano boasts of very many beautiful churches, for example the cathedral standing in the historic town centre. It was built between 1633 and 1638 and contains numerous valuable paintings from the 17th century. The Oratorium di Nostra Signora del Rosario from 1660 and the Oratorium di San Giovanni Battista from 1262 are also very attractive. So are many other churches found in Loano. The old Castello is found directly at the centre of Loano town, which makes many hearts yearn for old times and still radiates with the old Ligurian flair even today. The Doria Palazzo which dates back to the 16th century, is the current seat of the local administration and is very popular among visitors. One of the most attractive places here is the Porta Passorino. This is an old town gate with a clock which dates back to the year 1744. Just above Loano is the Monte Carmelo convent, which you should absolutely not miss to see. L’Isola di Ponente is the epithet of this colorful coastal resort called Loano. This name originates from the fact that Loano’s climate is very different from that of its neighbouring villages. 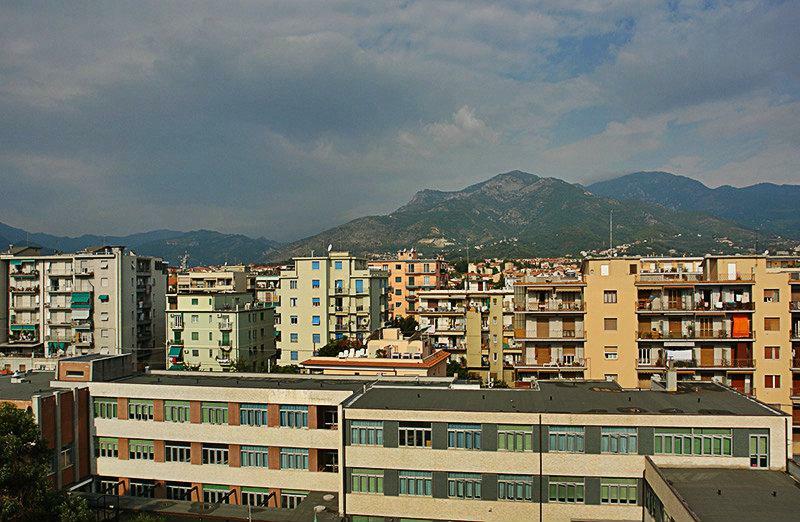 Compared to the climate in Pietra Ligure and Boghetto Santo Spitito, the climate in Loano is said to be considerably milder. This is due to Loano’s sheltered location in the leeside of the neighbouring mountain range, whose highest point is Monte Camo with 1389 metres above sea-level. Those who love shopping can do so by strolling through the winding narrow lanes in the historic town centre with its numerous shops. Alternatively they can visit the weekly market on Friday. Whoever would like to engage in sports as part of his / her holiday-house vacation can do so right there in Loano. Liguria’s beauty can best be admired along the many beautiful hiking and cycling tracks, and when you are at the coast you can try your skills at the most varied water sports disciplines available. There is also an opportunity to discover the underwater world during a diving excursion, or also during a snorkeling trip. Alternatively, you can decide to tame the water surface by sailing. The coast is also well-suited for simple swimming exercises, since it has a gentle slope. The locality of Loano has pre-Roman roots. During the Roman era the locality consisted of a collection of Roman villas. There are some archeolgical findings available even today which originate from that period. The Benedictine monastery of San Pietro was founded near Loano in the 8th century. During the 11th and 12th centuries, the locality belonged to the domains of the bishops of Albenga. In 1300 Loano became property of the Doria family, who then expanded and developed the town further. In 1547 the area came under the rule of the Governor of Milan. Loano continued to make great strides in economic development over the years. During the French rule, Loano reverted back to the Ligurian Republic and became part of the First French Empire in 1805. It was then integrated into the Italian kingdom in 1861. From 1973 to 2008 Loano belonged to the mountain community of Pollupice. 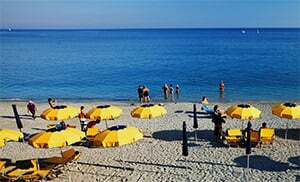 Loano is one of the localities in the province of Savona, which lies in the Liguria region. There are several other villages near Loano, and the include: Pietra Ligure (3.1 km), Borghetto Santo Spirito (3.2 km) and Ceriale (6.7 km). Take the highway exit to Pietra Ligure when coming from Genoa, then turn right onto the Viale Riviera, which you will follow up to the SS1. You will then follow that right turn up to Loano.